A Regent Street shop is still financially recovering after 10 suspects on five mopeds made off with thousands of pounds worth of Canada Goose clothing. The store, which had only opened a few days prior, is just part of dozens of other reports in the last few months, where break-ins are occurring in a similar fashion. High-end retailers in Oxford Street, Bond Street and Regent Street are all on high alert in regards to “smash and grab” attempts that clothing stores are facing, on what seems to be a regular basis. Although businesses and public services are working together to tackle the problem and ensure the district stays safe for residents, visitors, and businesses, alike, the problem doesn’t seem to be stopping any time soon. In fact, according to the article, which originally broke the news story, crimes in London involving powered-two-wheel vehicles, have increased by 75% in just a year. While the force is offering protections such as deploying remote-controlled spikes, slimmer police motorbikes, and using DNA tagging sprays, there is more that can be done when it comes to crimes in London, and even the world. The answer is Goods Digital Passport. In a world where counterfeit goods and piracy are costing the global economy a whopping $4.2 trillion a year, Goods Digital Passport is helping to stop criminals in their tracks, literally, by tracking products using blockchain technology. This innovative feature creates an unbreakable, verifiable, decentralized digital chain between a product and its origin. In the above situation, for instance, had the Regent Street shop marked their goods with a Goods Digital Passport, consisting of a unique QR code and blockchain hash linked to the coats, all of those items would be easily traced. That means that if a criminal tried to sell the stolen goods, anyone wishing to purchase the item could easily know the origin of it with the GDP and could view this information, as well as know the actual owner through the unique QR code. Registering items is simple and can save merchants thousands, even millions of dollars each year. Additionally, criminals are more likely to be deterred if they know any given shop uses this type of technology. Best of all, GDP works for pretty much everything that can be bought and sold, and of course, stolen and resold. Perhaps you are a shop owner selling high end apparel, an art dealer interested in purchasing priceless works of art, a watch collector, or a mother giving medication to her children, the GDP solution exists for endless scenarios. This global solution is the start of a worldwide eco-system, which will not only look to have a significant impact on counterfeit goods; it will allow consumers to understand the products they purchase. Utilizing a suite of applications, consumers will not only be able to store their products using Goods Digital Passport, but also keep track of their collective value using an online wallet. In addition, GDP will provide seamless insurance quotes, proof of ownership and accurate values, directly to insurance companies and comparison sites. Providing real time price and part exchange information and enabling people to sell their products directly onto the marketplace. Dissatisfied, he quickly contacted the resolution centre at eBay. They told him it would be best for him to contact the original seller to request his money back. The seller responded stating that what Bell purchased was exactly what he saw in the pictures but Bell could send it back if he wished. Goods Digital Passport has responded to the growing awareness of food sources and designed a system that makes it easy on everyone, be they farmer, grocer, or consumer. GDPs are built using blockchain technology. They create an unbreakable, verifiable, decentralised digital chain between a product and its origin. GDPs are used on everything from priceless works of art and designer handbags, to prescription drugs and yes, even produce. Using GDP anyone can track, for example, each batch of freshly picked blueberries directly from the farm. Each batch is provided with a physical or digital QR code that can be scanned at every stage of the production process. From the very first seed, to harvest, to packaging, and through the various shipping stages right to the store and into your hands. From there, all you need to do is simply scan the QR code, which can provide accurate information about the farmer and the sustainability of the produce. You’ll also get the age of the product and “best before” dates. That way, if you think, “I love these bananas!” You’ll know exactly what brand to buy the next time, because they will come from your favorite farmer. 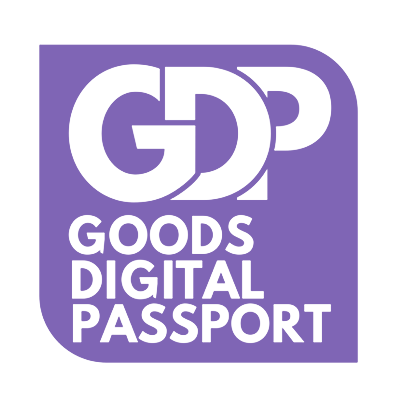 make Goods Digital Passport work for you?